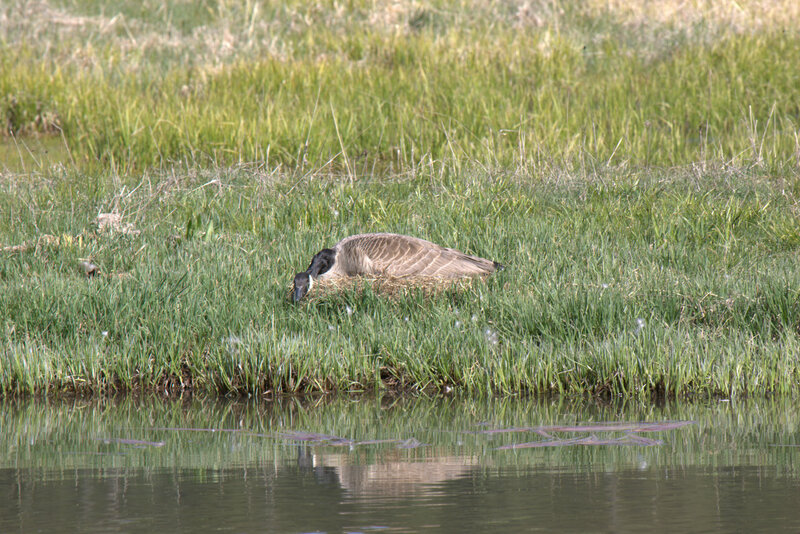 While hunting for wild turkey, I encountered this goose each day, nesting quietly next to a pond. She had a diversion tactic worked out in advance with her partner, who sat in the water 20 yards away. When I would approach, her partner would make a great racket and fly away, distracting my attention, while she stayed low and quiet on her eggs. I hope she and her eggs are able to avoid the coyotes. Wish I could be there to see the hatch. This entry was posted in Waterfowl and tagged Canada geese, Canada goose, geese, goose, nesting, waterfowl. Bookmark the permalink.